Official BMW USA Press Release: BMW will give the Big Apple a glimpse into what the future of pure driving pleasure looks like as its all-new 2008 M3 Convertible and Concept CS vehicles make their North American debuts at the 2008 New York International Auto Show in Manhattan on March 19. Arriving this spring, the all-new 2008 M3 Convertible shares the M3 Coupe and Sedan ‘s high-revving 414-horsepower engine, and just as its counterparts, will feature the first V8 in a series-production BMW M3. The introduction of the Convertible also marks the debut of BMW ‘s optional M double-clutch transmission with Drivelogic (M DCT Drivelogic)-a unique 7-speed double clutch transmission specially designed for a high-rpm engine (6-speed manual transmission is standard). The M3 Convertible will also feature driver-adjustable settings for crucial dynamic controls encompassing throttle response, steering, damping and stability (with an available steering-wheel-mounted “MDrive ” button to store the preferences) and a sumptuous interior which can be optimized to the driver ‘s desires including the comprehensive entertainment/navigation system operated through BMW ‘s latest iDrive controller. BMW will also present the North American debut of its Concept CS, the German automaker ‘s vision of a unique four-door car that combines the exclusivity of a genuine luxury Grand Turismo with the fascinating thrill of a high-performance sports car. Inside and out, the concept vehicle provides a new definition of powerful and expressive design, utilizing materials of the highest quality while combining stylish luxury with the most uncompromising ambience, full of class and value. 2008 X6 Sports Activity Coupe – The world ‘s first Sports Activity Coupe, combining the sporting elegance of a large BMW Coupe with the powerful presence of a BMW X model. 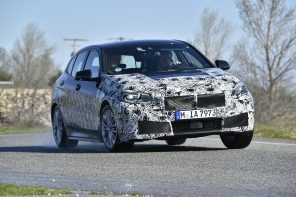 With two variants, both with Twin Turbo and direct injection, the X6 xDrive35i (3.0 inline six-cylinder engine, 300 hp, 300 lb.-ft torque) will be available in May and the X6 xDrive50i (4.4 V8 engine, 400 hp, 450lb.-ft torque) this summer. 2008 1 Series Coupe and Convertible – Inspired by its iconic 2002 models of some 40 years ago, the BMW 1 Series Coupe and Convertible represent the core BMW philosophies of pure performance and premium design. Both available in 128i (3.0 inline six-cylinder engine, 230 hp, 200 lb.-ft. torque) and 135i (3.0 inline six-cylinder engine, 300 hp, 300 lb.-ft torque) versions, the Coupe will go on sale in March; the Convertible will go on sale in time for summer. 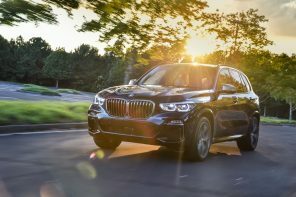 335d Advanced Diesel vehicle – Marking a significant milestone in the BMW EfficientDynamics strategy, this fall BMW will release two vehicle models equipped with BMW Advanced Diesel with BluePerformance-the X5 xDrive35d and 335d. Successfully meeting the strict exhaust emissions requirements of the North American automobile market, the vehicles will be available in all 50 states and on average, offer 25 percent less fuel consumption than equally powerful gasoline engines. 2008 M3 Coupe and Sedan – Featuring the first V8 in a series-production BMW M3 just as their roofless sibling, the all-new 2008 BMW M3 Coupe and M3 Sedan arrive in March 2008. Fourth in the line of vehicles that set the standard in minimizing any compromises between race-inspired performance and luxury and convenience, the 2008 BMW M3 Coupe, Sedan and Convertible each offer new possibilities to experience uncompromising driving dynamics. We will be at the NY show this week and bring you a variety of photos and news. We also anticipate some quality time with an X6 in the not so distant future so stay tuned! It’s unfortunate that BMW lost sight of the most important aspect of motorsport (M), that is – performance. No doubt this is a high quality car, my 2004 M3 is a great car. The new M3 can’t hold a candle to the new Nissan GT-R that accelerates 0 to 62 in 3.5 seconds. It’s also sad that the new M3 can’t out-accelerate the M5 and the M6. Up until now the M3 has always been the performance king of the BMW line. I won’t be buying one. Will be looking forward to seeing what you get from the show Michael. You had a press and didn’t offer up pics for BF?!?!? Seriously though if your looking for a classically beautiful car you’ll want to look elsewhere. 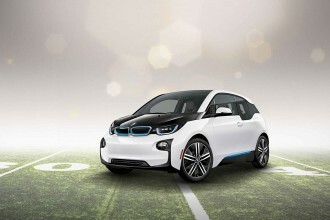 The 1er follows a long line of “purposeful” looking small two door sedans. sorry gabe, it was extremely last minute and i was already out of my house without my camera when i got the call, otherwise i would have sent some pics!